It’s taken me a while, but eventually getting round to writing these notes. 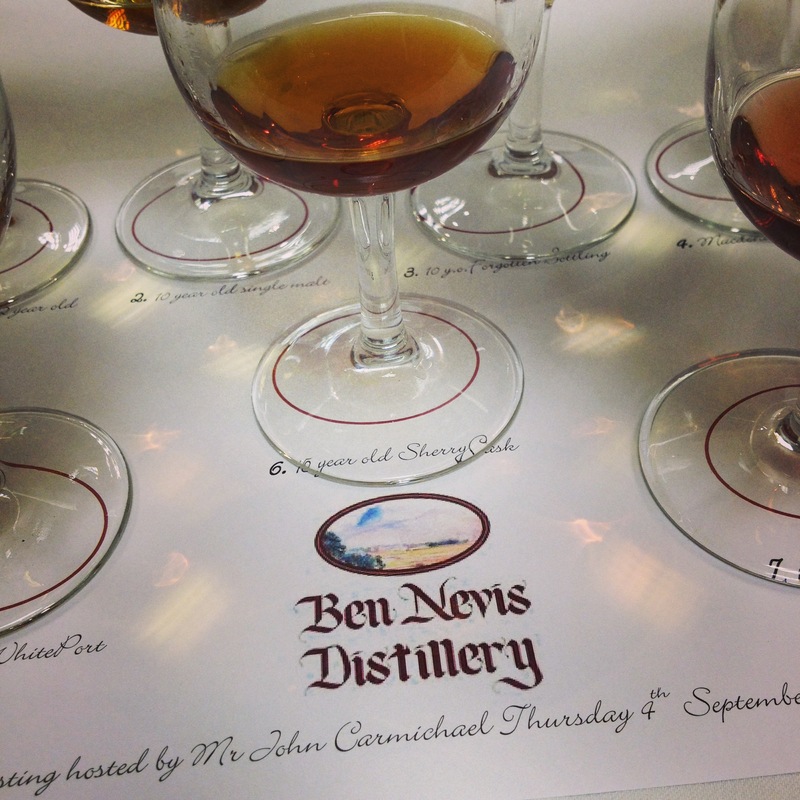 Quite unfamiliar is a common response with this distillery, however with such a recognizable name, you’d think more people would drink Ben Nevis…? Perhaps its name is ‘too Scottish’ and sets of an internal alarm – reserved for overtly tourist-orientated creations? But that’s not so. A distillery full of history and comfortably sat between the Highlands and Speyside. (Something which is referred to several times by host, John Carmichael). Not far from Glasgow lies the quaint Highland (..just) distillery of Glengoyne. Not one I’d previously heard much about until recently – but I’m really pleased I made the effort. 2014’s whisky tasting nights kicked off in fine style in Skipton where the Wright Wine Company played host to Alan Wardrop from Ian Macleod Distillers (Glengoyne, Isle of Skye, Tamdhu, Smokehead). Usually a fairly lively affair, this was no different. Ian kept one step ahead of the crowd and delivered one of the more memorable presentations – with sharp wit, great knowledge and unlimited passion.